This story was originally published at 4:56 p.m. Thursday, April 12, 2018. 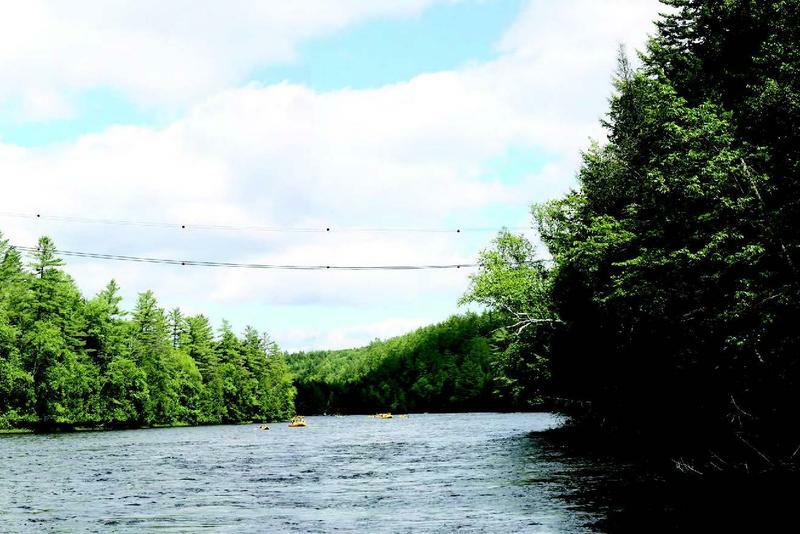 As part of a deal to win a state permit for a major transmission project eight years ago, Central Maine Power (CMP) agreed to transfer the scenic Kennebec River Gorge to the state. But that never happened. Environmentalists say that raises troubling questions about a new CMP project that would cross the same gorge. In 2010, the Department of Environmental Protection approved a site permit for CMP's plan for a massive transmission upgrade and expansion. CMP agreed to protect thousands of acres of land elsewhere in order to compensate for ecosystems and recreational resources that would be disturbed by the project. David Littell, the DEP Commissioner under then-Governor John Baldacci, negotiated the deal. "The idea was that they will be protected and they will be protected by either a conveyance or an easement to a third party,” Littell says. CMP offered to donate to the state the scenic Kennebec River Gorge and 13,500 acres around it, stretching from the Harrison dam to the Forks. Regulators said that was above and beyond the minimum required, and they took the gift. But eight years later, CMP still owns the parcel. That's caught Littell by surprise. "It's essentially not protected. To have no enforcement authority or no one actually ensuring it's protected means it isn't,” he says. CMP in 2011 did establish covenants that ostensibly protect the property. But that document also says title to the parcel "will be conveyed" to the state's Department of Environmental Conservation. And with that still undone, Littell says the gorge remains at risk. "Until you have a third party in place, in this case it was supposed to be the Department of Conservation, the job isn't done,” he says. “The wildlife habitat is not protected, the ability of the public to use the parcel is not guaranteed. Essentially CMP can do what they want with the parcel in the meantime." "The commitment's in place, it's always been in place, the covenants are in place, the land is protected,” says John Carroll, a CMP spokesperson. “What has not happened is the simple, sort of the legal transfer from CMP to the state." Carroll says CMP has managed the property in accord with the covenants, protecting it from development and allowing public access. As evidence of good faith, Carroll notes that every year the company has formally notified the state of its intent to a complete transfer of the title. "And each year it gets kicked down the road,” he says. “Neither party wants to put the time into going to the last steps, the final legal steps, and we need to get it off our books. We've been paying taxes on it the whole time as well." An official in the Department of Environmental Protection says the agency can enforce the covenant. But former Commissioner Littell disagrees. And one environmental group that supported CMP's original mitigation deal says uncertainty around the gorge's status is troubling. "Without the actual title to the property being conveyed to the state as was described in the covenant, it's a little like CMP was making a deal with itself,” says Dylan Voorhees, the clean energy director for the Natural Resources Council of Maine. “So I think it's problematic and it needs to be resolved." 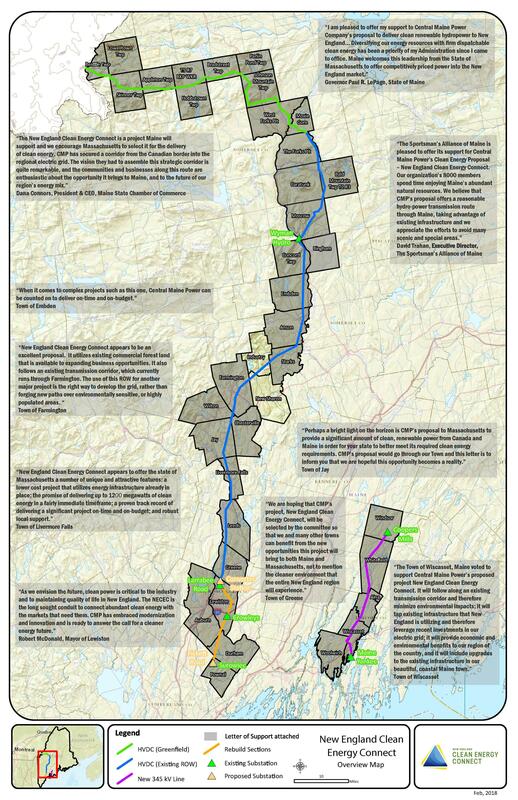 And there's another issue, Voorhees says; one document related to the original deal reveals that CMP retained the rights to a 300-foot corridor that crosses the Kennebec river at the gorge. That corridor happens to be the pathway that CMP has chosen to build a new transmission line to bring electricity from Canada to Massachusetts. Littell says the corridor carve-out was a fair bargain given the business CMP is in. But Voorhees says it's a glaring loophole. "I think that's a warning to anybody who is interacting with Central Maine Power,” he says. “They were trying to buy good will. And we have to ask what the value of that is. And if the primary threat to this parcel of land, from a development perspective, is actually transmission lines... what did we get for that?" 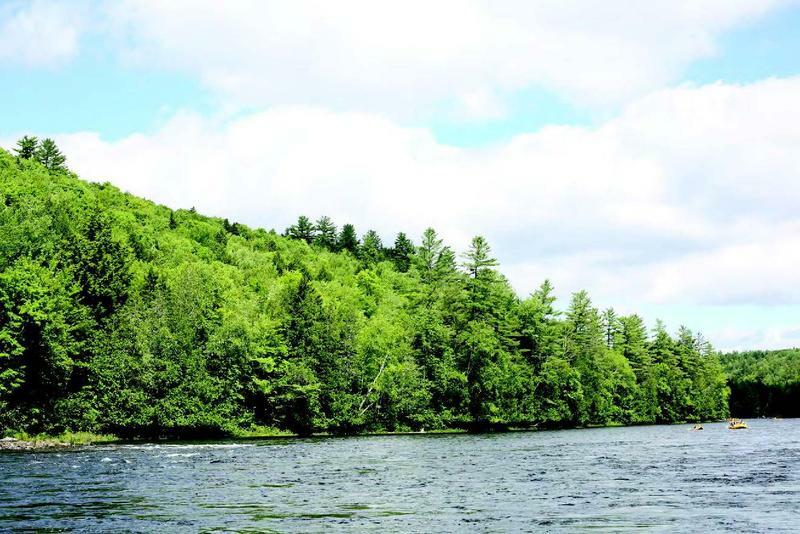 As part of its efforts to win a permit for the new transmission project, CMP is negotiating a mitigation package with a group of stakeholders in the Kennebec River Gorge area. The group includes commercial rafters, economic development officials, and Larry Warren, founder of the Maine Huts and Trail System. In an email, Warren says he's been assured that the state will finally take title to the original parcel before a new permit is issued. A spokesman for the Department of Agriculture, Conservation and Forestry says the title transfer is "still under consideration."